The debate over aerial drones for civilian entertainment seems all but settled among one of mankind's closest primate cousins. In fact, one non-human hero has already risen to battle back against the robot intruders. 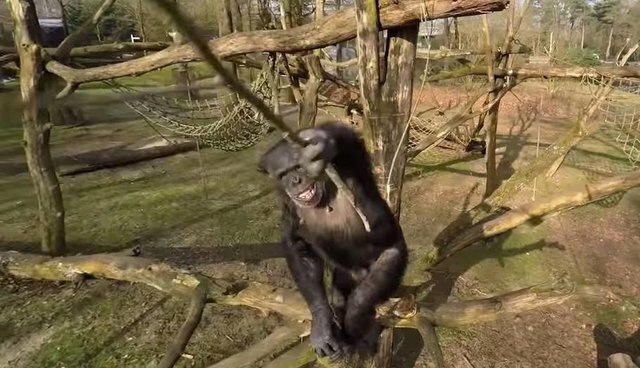 Chimpanzees at the Burgers' Zoo in the Netherlands are no strangers to having their privacy violated, seeing as how they're being held in captivity for the viewing pleasure of visitors. But when keepers tried to film them up-close with a drone for the second season of the national television program Burgers' Zoo Natuurlijk, the animals didn't take the invasion lightly. 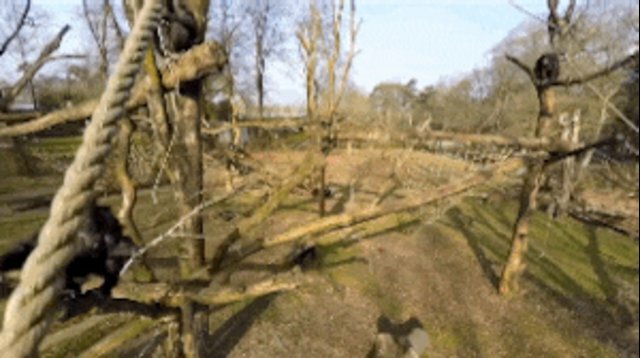 As the drone, fixed with a GoPro camera, began a flyby inside the animals' enclosure, it was met with some well-timed resistance. Instead of cowering in fear from the loud, unfamiliar machine, one of the chimps - who at first appeared to be sleeping - suddenly stood up to fight, knocking the drone from the sky with a few blows from his stick. Afterward, with the drone successfully vanquished, the chimp then descended from his perch to stand victorious over the lifeless frame of his fallen enemy. According to zoo staff, this drone was completely destroyed - a small victory, perhaps, for privacy-loving primates everywhere.